Online webinars are the most flexible and time effective way for busy professionals to obtain their necessary CEU's. Acupuncture Media is certified and approved by the NCCAOM as well as the California Board of Acupuncture. You will receive a full 6 to 12 months to review recordings and content. After you pass an online quiz, your certification will be available to you. 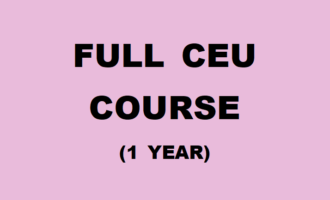 Full CEU/PDA Course (for 12 months) = $475. Click the "Shop" button for bundle deals! There are 97 CEU courses available so far. We are continually adding and revising our lectures for your clinical success. Reminder: You only need to take quizzes for the the CEU/PDA credit units you need. Korean Meridian Acupuncture (10 PDA/CEU): ​To reach a distinctive skill level as a practitioner, many aspects of acupuncture must be understood. Point indications are a necessity, but understanding channel dynamics is the key to achieving greater efficacy in treatment. H.B. Kim will teach the practical application of channel dynamics of three Circuits (Earth, Heaven, Human) and needling in&out orders used in Korean Meridian. Practitioners will be able to use 24 Gate openings and Meridian connecting techniques. Korean Yin-Yang Balancing Acupuncture (10 PDA/CEU): ​Pain control is THE reason many people want acupuncture. But how do you choose a superior method based on proven clinical results and not vague theory, which may or may not work? The Yin‐Yang Balancing treatment taught in this course is the answer. It excels in pain control. The Yin‐Yang Balancing Acupuncture technique (called Pyung‐Chim in Korean) is very effective for controlling pain due to channel or organ disorders. By using Fire and Water points of each channel, it balances Yin/Yang and the left and right sides of the body. There are six systems to treat each channel. By using a few key points and the tonification/sedation technique, this course enables you to excel in pain control. Point Indications & Dui-Xue (10 PDA/CEU): ​Point Indication and Channel Dynamics are the two key components of an Acupuncture Point prescription. Clearly understanding Point Indication will enhance the efficacy in treatment. When combined with proper application, the practitioner utilizes Channel Dynamics. This lecture focuses on the Point Indication and Dui‐Xue (Point Pairs) for academical and clinical application of point selection. H.B. Kim clarifies the difference between the single points and explains the principle of point combinations. The audience will develop more confidence in their ability to interpret and impose the proper point selection after taking this course. 100 Important Dui-Yao​ (5 PDA/CEU): ​If a single herb is an instrument and the herbal formula is an orchestra, Dui‐Yao (Herb Pairs) is like a Duet. 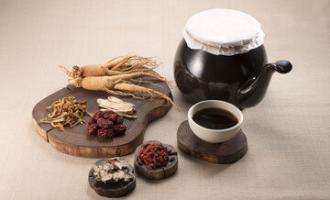 With a solid understanding of Dui‐Yao, both single herbs and herbal formulas can be apprehended more clearly. H.B. Kim explains and clarifies 100 important Dui‐Yao in a unique way in his fast‐paced lecture. The audience can grasp the essentials of each herb pair and will be able to apply the information in composing and interpreting herbal formulas in a much more definite way. ​Essential 50 Formulas for Clinic (6 PDA/CEU): ​Choosing the correct herbal formula may mean the difference between a treatment’s success or failure. This class will provide the essential 50 herbal formulas for most clinical applications. HOWEVER the list of important formulas could be depend on the type of practice. This course will help you to modify your selections from this list to best apply to your type of practice. This course will give a solid understanding of a basic repertoire of formulas and their clinical applications. Important: this course includes actual case examples which are used to match tongue diagnosis with formula prescriptions. Acupuncture media has opened a new resource for me in my integrated Western and Eastern multi-disciplinary practice. With its valuable content, clear organization, and thorough handling of the various subjects, Dr. H.B. Kim’s website has a nice, immediate application of therapeutic pearls for work with our patients. My high-volume case load and varied diagnostic challenges require a convenient and quality source of useful information. Dr. Kim’s presentation is clinically precise. It has been easy to incorporate his lessons into my already-demanding schedule. 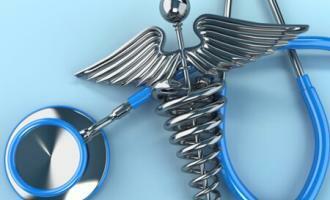 I have been able to advance in my knowledge without interrupting the crucial care that continuing education supports. In my 30-years of experience, I recommend H.B. 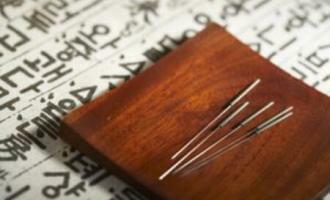 Kim’s site as a great resource for both seasoned clinicians and a prodigious learning tool for new acupuncturists. – Robert N. Darnell, L.Ac., D.C., Ph.D.
HB’s CEU courses directly teach practical clinical applications that really work. I have already achieved phenomenal results with patients using the Four-Needle Technique, and I am now integrating Yin-Yang Balancing into my practice as well. These methods are not part of standard TCM curriculum, and it is so great to have an additional approach in my repertoire of clinical skills. All of HB’s lectures are clear and concise, yet intertwined with philosophical underpinnings that make our field so fascinating. His charts and diagrams make the learning quick and easy. These courses will pay for themselves when your patients get results and call for another appointment. – Chanta V, L.Ac. Hi HB! I am back from VN. Thank you very much for all of your teaching and sharing. I was able to help a good number of poor VN people feel less or no more pain thanks to your help. The Yin Yang Balancing (YYB) method really worked very fast for acute and even somewhat chronic cases; for mixed acute and chronic cases, I used YYB on acute side, one of the four 8 Extra combo’s on the other side. There were so many patients and not much time! Each time a treated patient stood up with the help of a young volunteer asking how she or he felt and left with a happier face, I too felt really happy inside. Overall, I practiced VN therapeutic massage followed by Korean Meridian acupuncture, and almost 100% of cases got better from 50%+ to 100%! At the end of the trip, the Western doctors from “Vets With A Mission” group with whom I worked this charity health mission told me how very surprised, amazed, and appreciative they were of our Eastern modalities. Please wish me continued discipline and clarity of mind! Thank you very much again for everything, HB. – Xuan An, L.Ac.